Sometimes I tend to skip past the seemingly basic mortgage questions, assuming everyone already knows the simple stuff. Unfortunately, that’s not the case, and what may appear basic isn’t really so straightforward. So let’s talk about qualifying for a mortgage. Unsurprisingly, it’s actually a pretty complex process. After all, you are asking a bank to loan you a ton of money for a long period of time. They’ll want to know you can actually pay it all back. The first thing I’ll say on this topic is that qualification for a mortgage can vary greatly from bank to bank, and also by loan type. For example, one lender may allow credit scores as low as 550 for FHA loans, while another may require a minimum credit score of 620. There’s also a little thing called “risk appetite,” and not every bank is as hungry as the next. This illustrates why shopping around is paramount to secure the best deal, because one bank may agree to do business with you, but not at the best terms. So it’s important to find the right lender for YOU. If you’re interested in purchasing a home with the help of a mortgage (cash buyers need not apply), your starting point would be getting pre-qualified. Essentially, a “pre-qual” allows you to first see if you’re even eligible for a home loan, and secondly to determine how much you can afford based on income, asset, and credit score estimates. So you basically tell a bank or mortgage broker that you do “X” job, make “X” amount each month, have “X” credit score, and can put “X” down. It’s a starting point that relies on a lot of estimates. Most will ask you to go a step further and run some hard numbers, such as figuring out your debt-to-income ratio, to see what mortgage amount you can qualify for. Assuming everything looks good, they may get you a more robust mortgage pre-approval, which is a commitment from a bank to lend you the money you need to make the home purchase in question. Of course, you can run the numbers on your own without anyone’s assistance if you’re just casually wondering where you stand. But the numbers you come up with might be quite a bit different, so if you are serious about home buying, it’s wise to get a lender’s eyes on your financials. Tip: Do this as soon as possible so you have time to correct any issues or roadblocks. It takes time to fix stuff, so giving yourself plenty of time is a smart move. While the loan submission process may vary depending on the lender you use and your own preferences, it generally begins with an online or in-person application. Once the initial application is completed, you must sign disclosures in order for the lender to pull your credit and gather other financial documents on your behalf. You’ll be asked to send or upload financial statements like bank account information, pay stubs, and tax returns so your loan can be properly underwritten. A loan processor will typically get involved at this point and organize your loan file before presenting it to the underwriter for a decision. Simply put, they’ll want to make sure all your ducks are in a row before an underwriter gets their eyes on it and proceeds to scrutinize heavily. Assuming you pass muster, your loan will be conditionally approved by the underwriter and you’ll need to send in additional documentation to get to the finish line. At the same time, a home appraisal will be ordered to ensure the collateral is up to snuff and valued properly. The process can take anywhere from 3-6 weeks depending on the circumstances, so you’ll need to be patient. And cooperative to keep things moving along. Now let’s talk about what it takes to qualify for a mortgage. First off, you’ll need an adequate credit score, along with sufficient income to make the proposed mortgage payment each month. Generally speaking, a credit score below 620 is considered subprime in the mortgage world and will make qualifying for a mortgage that much more difficult. But it’s still possible depending on lender and loan type. If you’ve got previous foreclosures on your credit report, things will get even more problematic and you may not even be eligible for a certain period of time. But if your credit score is above 740 and you’ve got some decent credit history to back it up, you should have access to the lowest mortgage rates and a wide array of loan options. Credit scores in between should still work, though there might be pricing hits associated, which all else being equal, may bump up your interest rate. Tip: Lenders want to see a minimum of 3 active credit tradelines with two-year history on each to assess your creditworthiness. As far as job history goes, it’s important to show the mortgage underwriter you’ve had (and still have!) a steady job, typically for two years or longer. This essentially proves that you will continue to receive regular income to make those costly mortgage payments each month for the next 30 years. If you just graduated and have held a job for a mere two months, don’t expect to qualify for a mortgage unless your new position directly correlates with what you studied in school. For example, if you went to medical school, and now have a job as a doctor, this might be sufficient to qualify for a mortgage. But if you were an art history student who has been working as a flight attendant for two months, mortgage lenders probably won’t feel comfortable lending to you just yet. Make sense? When seeking out your mortgage, you’ll also need to consider the mortgage down payment requirements, which vary depending on the type of loan you’re after. While there are still some zero down mortgages around, namely VA loans and USDA loans, it certainly helps to set aside some assets so you’ve got something to put into your home purchase. Obviously, the amount of money needed will also vary based on the purchase price of the home. If you want a more expensive house, expect to put more down in order to qualify. If we’re talking about a mortgage refinance, you’ll need a certain amount of home equity to qualify for the mortgage, as determined by loan-to-value ratio constraints. Would you approve YOU for a mortgage? When it comes down it, it’s all pretty much common sense. Do you think you can/should qualify for a mortgage? Do you have a track record of making on-time payments, carrying large amounts of debt and paying it down, holding a job, and saving money? Are you ready to make a big commitment? If you were the bank, would you lend you a mortgage…hmm. I would guess that most prospective homeowners could assess the situation beforehand and determine if they should be granted a mortgage. But without running the numbers, you won’t know for certain. 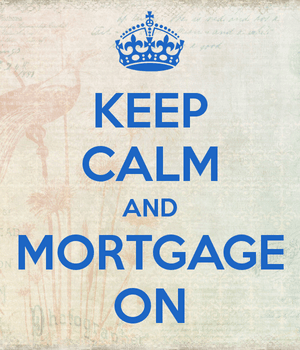 So be sure to do plenty of calculations and speak with a loan officer or two to see where you stand. They’ll be able to get you a quick answer so no one’s time is wasted. In some cases, you won’t need all of these things, but it should certainly make life easier to satisfy everything on this list. Rental History – proof of clean rental history for the past two years is also important to show the lender you have a propensity to pay on time each month (those currently living with their parents may be excluded from this rule). If you can’t satisfy these basic requirements, you may want to keep renting, saving, and working on your credit until you can. Or consider adding a co-signer who is better qualified to apply for a mortgage. Either way, don’t be discouraged. There are lots of home loan programs and creative options out there to suit all different needs. As noted, one lender may say no while another says YES. Read more: Tips for first-time homebuyers.